Look there’s a small brown box! Wait a minute! It’s not a box, it’s a book! 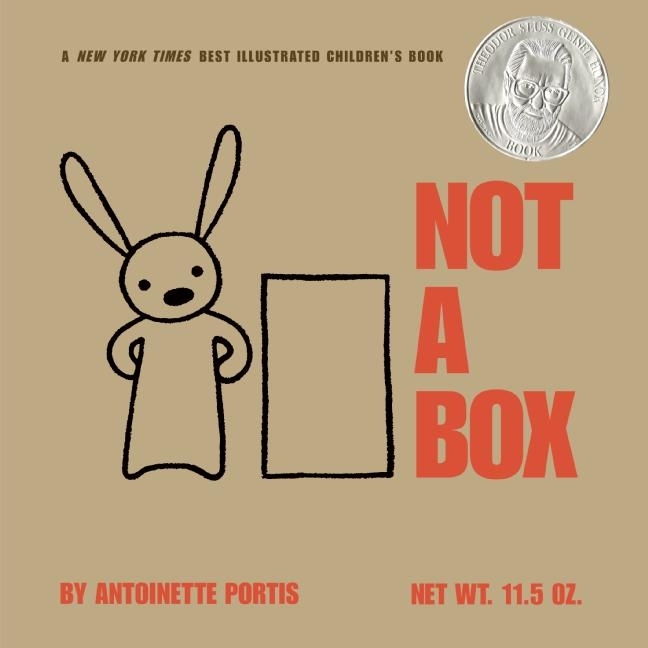 This month’s book selection, Not A Box, written and illustrated by Antoinette Portis, introduces readers to a creative little bunny who proclaims that a simple box is “not a box!” Instead it is a race car, a robot, and much more! 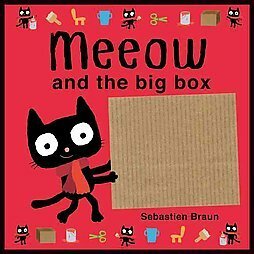 This book inspires playing and imagination. Open-ended pretend play, such as playing with boxes, allows children the opportunity to exercise their narrative skills and supports creative expression and exploration. Activity: The grocery store is a wonderful place to have a box talk! As you go through the aisles, talk to your child about all the different types of boxes. There are so many different shapes, sizes and colors of boxes to find. As you look at the boxes, underline letters and words on the packaging as you read them to your child. This helps children develop print awareness: the understanding that print is all around us and it has meaning. We’ll get there very soon. Ask you read the story, ask, “Why do you think the bunny is sitting in the box?” Accept any answer your child gives. 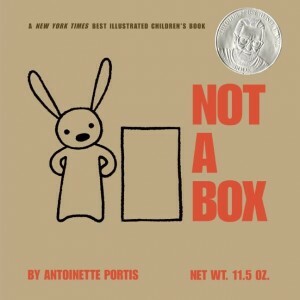 In the story the bunny says, “It’s not a box!” Ask your child, “What do you think it is?” Let your child be just as imaginative as the bunny, even if the answer is not the same as in the story. 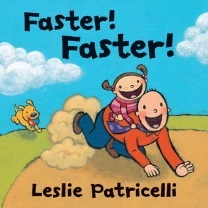 Activity 2: Enjoy more fun books about imagination and pretend play! Studies show that pretend play helps children develop creative problem solving skills. Pretend play allows children to think outside the box and gives them the confidence to explore endless possibilities! Cereal boxes can become building blocks! A box can become a really cool robot costume! Tissue boxes with a long strand of fabric tucked inside can become a wonderful game for babies! Grasping and pulling the seemingly endless fabric allows baby to work fine and gross motor muscles. Tissue boxes can also become a fun game that supports language development! Cut out pictures of animals from discarded magazines, or draw your own. Glue, or tape, the various animals on different sides of the tissue box. Let your child gently toss or roll the box to see what animal it lands on. 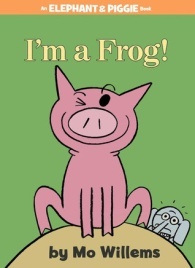 Talk about the animal, then get silly with your child and imitate the sounds and movement of that animal. Send a picture of you and your child playing with boxes. Be creative! We can’t wait to see what you loved about Not A Box.